A summary of Davos is really not possible given that there are many simultaneous public sessions as well as private by invitation gatherings spread over four dawn to midnight days. All that one can do is summarize the Davos that an individual experienced somewhat broadened by other participants takeaways. The reality of how different speakers and panelists saw the world was highly dependent on the world they were experiencing. The Europeans were at the center of the discussion but the most unsure of their institutions and their future given the recent ECB tightening, the surge in the Swiss Franc and weakness in the Euro, real worries about deflation spiraling out of control and doubts on whether they had the leadership who would carry out the fiscal and structural reforms necessary to put their economies back on track and the worry of homegrown terrorism. Two statistics that were shared from the stage illustrate the challenges facing Europe and the need for significant structural reform 1) the continent has 9 percent of the Worlds’ population, 25 percent of the worlds GDP but 50 percent of its pension liabilities. 2) At todays Euro exchange rate with all the various work and pension rules a European employee costs a multi national firm twice that of an equivalent American worker for the same job. The Asians were surprisingly quiet. The Prime Minister of China came to assure everyone that while their economy was slowing they were hoping that entrepreneurial innovation and more investment in business versus infrastructure would turn things around. The Chinese were eager to prove to the Western leaders who believe China is hard to do business in as a foreign firm and the growth story for their firms are over that it is not true. Interestingly the Chinese themselves are moving their investments outside the USA with more Chinese direct investment outside of China than foreign direct investment in China. The real star from China was Jack Ma of Alibaba who in addition to his great humility has a focused vision of enabling small business and building a marketplace of 2 billion increasingly global but connected to China and Asia. Many businessmen accompanied the Finance Minister of India and while there i was new found enthusiasm for the country given the new government it was surprisingly not mentioned in many economic conversations. So much so that after one of the panels a prominent Indian businessman went up to the stage at the end of the session on global economics and plaintively said…”You forgot to talk about India”. If there was a belle of the ball it was the USA. The strength of the economy from growth to strong dollar to innovation was called out again and again. The US felt like it was the new emerging market. The Europeans were particularly concerned about their lost decade on innovative technology noting that they had failed to develop a Google, Facebook, Tencent or Alibaba. The Americans noted how hard it is to start a business in Europe and the work and labor rules. Latin America was as far as I could tell were somewhat missing in action while the Africans were beginning to emerge. One of the best lines on perspectives was “first we get the news and then much later we get perspective”. An African entrepreneur noted that Africa was not an Ebola infested continent because only 3 of 54 countries had Ebola and one of them had controlled it on its own. Here was a continent with a billion people, 75% under 25 years old, 6 of the 10 fastest growing economies in the world and more advanced mobile payments than the west which was painted in a headline. The key challenges in Africa remain the balkanization of the continent into 54 countries where people and goods find it hard to move and lack of skills. Davos teaches one to be aware that what one sees depends on where one stands and where one comes from. Two driving forces of globalization and digitization are challenging every organization whether it is public or private. These institutions were built for a slower moving, top down, western centric, analog reality and now have to deal with a fast moving, multi-polar, start-up and digital mindset. As someone asked would the EU be designed, as it is if it were designed today? During a conversation between the recent or current heads of Intelligence Agencies (yes MI6 and stuff) they bemoaned how difficult things had become for intelligence services noting that five years ago they did not have to deal with a) extremists from inside their own countries, b) cyber warfare, c) Snowden revelations and d) having to get judges to not agree to wire taps but to unleash algorithms on large swaths of data. The CEO of Dow and Old Mutual at a Bain Breakfast noted the key reason for their recent success was over the past few years changing their organizations via investment in talent and bringing in new blood and building externally driven, customer focused, team oriented cultures. The CEO of Dow has says it is critical that everyone understand the strategy of his firm and behave in a way called ACT now where the A stands for Aim High, C stands for Customer first and T stands for its Their business (make decisions like its your business). The CEO of Dow had such trouble changing the mindset of his management that he changed his management. Between 2005 and today 195 of the top 200 managers are new! If companies cannot change people’s mindsets they will change the people. Thus key to re-invent and learn and grow and adapt to new circumstances. The world seems to be moving at two realities. The world of the future and the world of the established organization and government that is built on the learning of the past and generating less and less value today. You could feel the angst about this two-speed world when the author of the Second Machine Age described government and organizational dynamics as a struggle “between those who seek to preserve the past from the future and those who seek to protect the future from the past”. 3. Trust—if one can build it– will be a new competitive advantage. There is a clear breakdown of trust between people and the organizations of every sort whether it is corporations; NGO’s or governments are trusted by less than 50% of the people. The only stars are intelligence agencies that are despite the Snowden revelations seen positively by 70 percent of folks. One of the industries that surprisingly are losing trust is the technology industry. There seems to be anger, which I picked up in Davos by the non-technology companies against the technology firms which is also picked up in the Edelman survey. In fact the leader of a Silicon Valley company was heard wondering aloud as to why his eco-friendly free busses shipping his employees from SF to Campus. The issue seems to be we are forgetting that its people we are dealing with. People who resent how fast technology is upending their lives and their jobs. People who see their job replaced by a machine and hear about tech folks talking about seceding from the United States. Edelman noted that Silicon Valley has a growing PR problem. This needs to be fixed because in many ways technology is truly liberating and providing amazing new opportunities. The digital divide that people worried about is not true and in fact mobile phones, networks and other technology is letting David take on Goliath. It is opening up information and education and health care for billions. However as the CEO of Manpower noted there is a real and growing mismatch of skills between the skills the skills the future is looking for and the skills that people have today especially in the developed world where what technology is a two edged sword where it brings and takes away relative to the emerging world where it is a catalyst and enabler. In a connected world where inter operability will be key Trust will be critical. As noted during a breakfast I attended “Who will I trust with my data?” or even “Who will I trust with the keys to the Internet?” Was surprised to hear that before the US allowed ICANN to become a global organization the Chinese had created a new root to the Internet and were threatening to make the world two Internets! When Skype does not connect with Facetime, When Facebook and Google glower at each other. When institutions are old and new are questioned its time to build trust! 4. Uncertainty has always existed but so many things are now certain. Many of the super stars of Finance and Industry noted how none of them predicted that oil would be half the price of six months ago or that deflation would be a huge issue in the Western World or predicted an ISIS or the amazing recent strength of the US. When businessmen say they do not want to invest because of uncertainty you have to wonder which dream world they are living in. Life by definition is uncertain. Till someone arrives representing future time at Davos we pretty much are guessing and extrapolating trends. a. The world will become more multi-polar versus Western Centric. Today 88 percent of the world’s population is in Africa, Asia and Latin America and with the exception of the US all the top ten growing economies. They are embracing free markets of a sort, enabling technology, empowering women who have been underutilized and embracing science to enhance food, energy and medical requirements. Melinda Gates noted that in the past 25 years half of the worlds population had been lifted from poverty and now in the next 15 years another half will be. b. The world will grow old outside of Africa and India. In 2014 there were 650 million people over 65. By 2050 that number will be 2 billion. Faster than digital growth is old people growth. Older demographics if extrapolated will see Japan become a third smaller in fifty years and 2/3 smaller by 2150.
c. Organizations, Institutions and Laws will need to be redesigned to a world where individuals walk around with supercomputers in their pockets. This year’s iPhone6 carries 650 times the processing power of a 1995 Pentium. In India the number of smart phones will go up from less than 20 million at the beginning of last year to 250 million at the end of this year. These are not phones but highly connected computing and connected devices that will change society and industry but also government and financial institutions. We are focusing too much on Facebook and Google or Alibaba and not enough on the seismic change billions of connected highly empowered people within the next few years will bring about. a. Bitcoin and Bitchain are likely to revolutionize money. It is likely to become the currency of the Internet since it addresses the lack of trust in financial institutions, speaks to the need of the unbanked and leverages network technology. It’s in the early innings and too much focus on the roller coasting price. With that being said I would recommend everyone buy a bit coin (its now about 240 dollars as I write this) and begin to understand it. In the US, Coinbase is an ideal wallet. The book to read on this topic is The Age of Cryptocurrency by Vigna and Casey two Wall Street Journal Financial Journalists. b. Three key words, Awareness, Authority, and Oversight will be needed to regain and build trust. Authority. Oversight. Are people aware of how their data is being used and what the laws are. Is there someone who gives authority to lawmakers or data companies on how data is used and oversight is there a way we can see how are data is being used if by a private company or is there an oversight government authority that watches those who process our data. c. Women will be the economic engine of the future: In a panel on “Equality through Parity” it became clear that women not only are the portals through which life arrives but are the portals to economic uplift in the emerging world (and who most foundation like the Gates Foundation focuses) and to superior growth all over the world (including Japan) as they are treated fairly in the workforce. As the Prime Minister of Norway noted we do not need to build an economic case for why Women should be treated equal, its just the right thing to do. d. The workplace of today is increasingly obsolete and non-productive: A Bain Study found that technology is making meetings easy to schedule today versus the past and the cc: address line expands unnecessary email to such an extent that the individual at work spends 20 hours in meetings and 10 hours on email and 8 hours doing everything else. In addition junior supervisors generate 1.3 Full Time Equivalents of Work and senior supervisors generate 4.3 Full Time Equivalents of Work. Organizations and work needs to be modernized. e. The world is making us more connected and more disconnected: We sit in a room connecting with others outside the room while not talking to those who are across the table. We connect to worlds outside our communities but not to what is going on outside our windows. Maybe a bit of Analog is good since we people are carbon based life forms enabled with silicon objects and not silicon based life forms carrying around carbon based flatulence emitting flesh. f. The future is arriving faster than we can imagine: The rate of progress and change is heating up. Its just not mobility and computing but robotics and communication and much more. Cars now drive better than humans and will soon drive 10 times better than humans. Nano and bio technology will make science fiction reality and all this will happen in the next decade if not sooner. Hold on tightly to your mobile devices! Great insight, thanks for sharing it, particularly the observation about trust. Rishad: Since we couldn’t all attend Davos (sigh), I really appreciate your taking the time to consolidate your observations. This is truly thought-provoking, and helpful in making sense of what is happening globally. Love the idea of USA as an emerging market, and the observations about the technology/Silicon Valley backlash, demographics as destiny, and the erosion of trust should give us all pause. Thanks again for the insights. 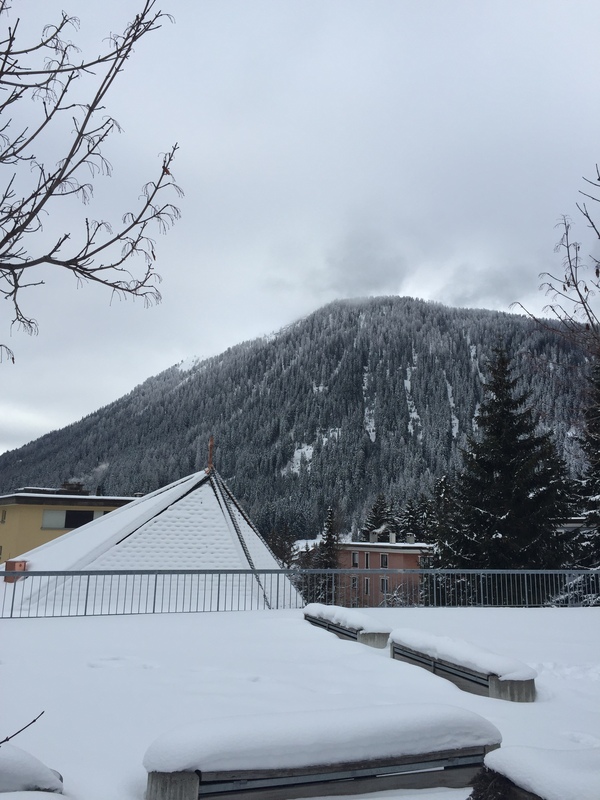 Rishad, thanks for doing this brilliant review on Davos 2015. Very well to the point. It is a pleasure to follow you. Thank you for sharing. Fascinating account and insights.